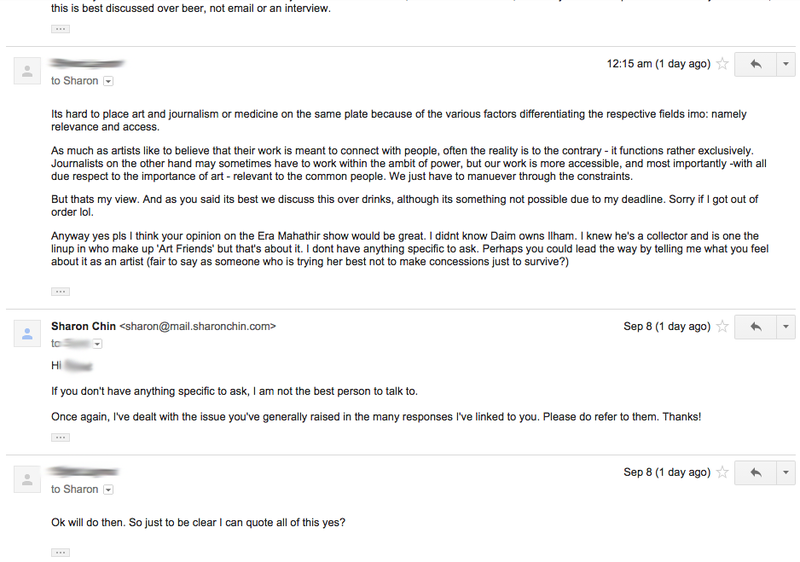 1) This reporter did not write to me from an official MMO email address, but a personal one. 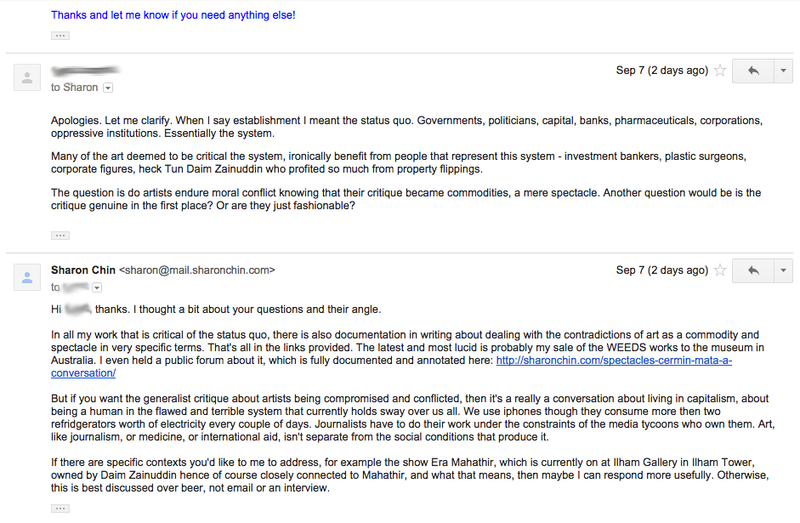 2) He sent me a series of basic questions, to which I replied in detail, with links that I contextualized and summarized. 3) When I requested that he be specific in his questions, he stated he had no specific questions to ask. 4) I replied that the generalist critique would have to address how every human on earth is currently compromised by power and capital, because ‘art, like journalism, or medicine or international aid, is not separate from the social conditions that produce it’, that such a conversation was beyond this interview, and once again requested specific questions to respond to for the purposes of his piece. 5) In a one-two of self-justification and professional insult, he defended journalism’s complicity in the status quo because it is more ‘relevant and accessible to the common people’ than art. 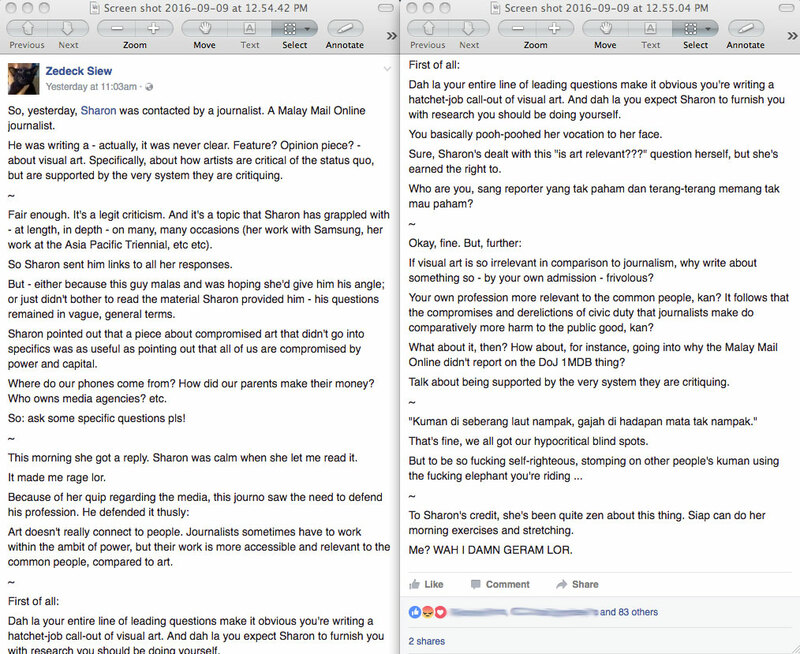 6) I told this reporter that if he had no specific questions, I had no more to say. 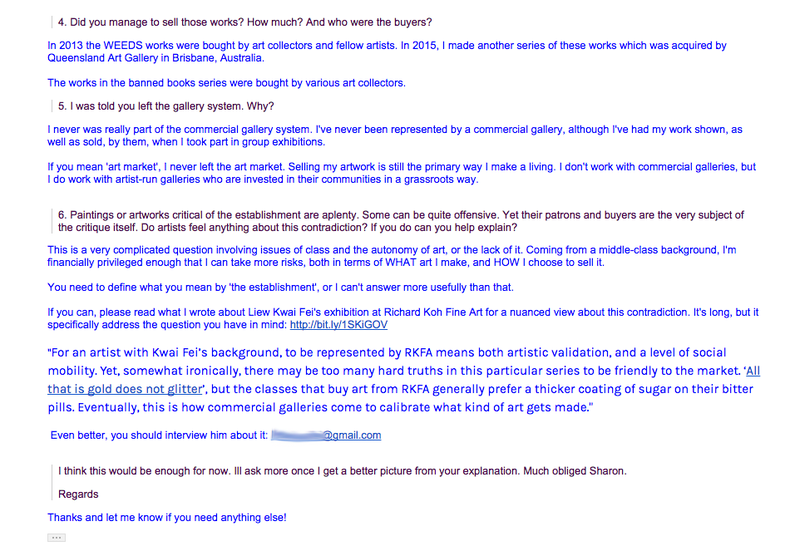 He followed up with a question about my position on commercial galleries to which I replied at length. 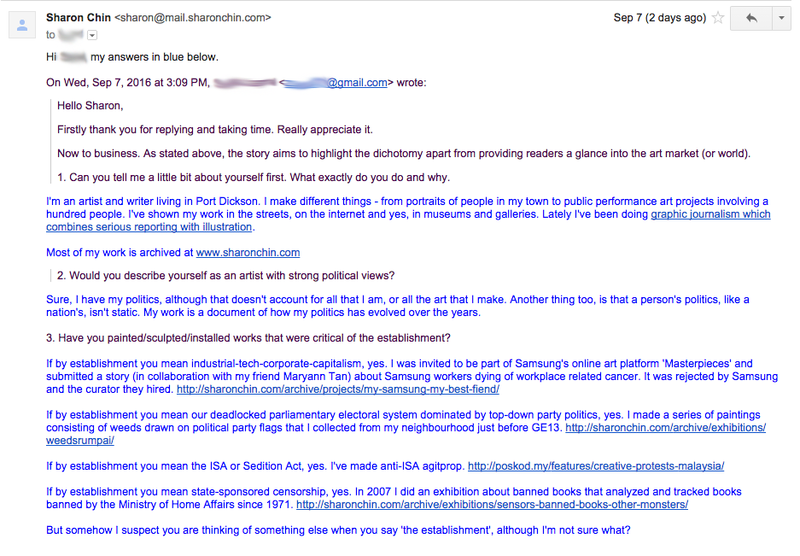 He also asked for my permission to quote, which I gave, indicating that the entire email exchange was on the record. 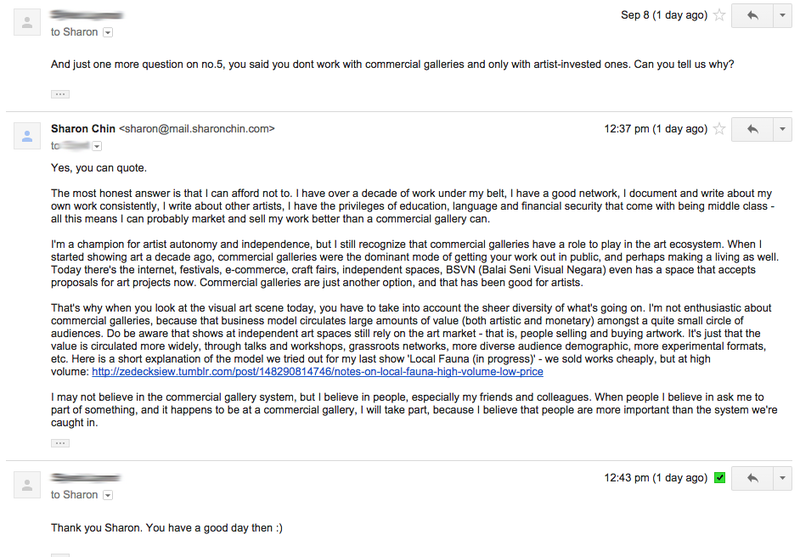 I have attached these emails in full at the end of this post. 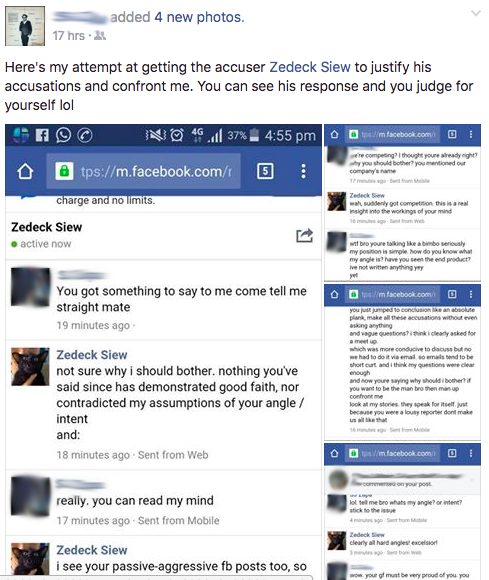 10) Overnight, he deletes the comments he left on Zedeck’s original post. 11) As of writing, he is threatening us with a police report and legal action. I want to make clear that I believe these events are reflective only of the actions of one individual and in no way representative of the Malay Mail Online and how they operate. This exchange is still ongoing and no doubt will blow over – if it hasn’t already! – to be replaced by some other social media storm in a teacup. Personally, I am deeply irritated at having to spend my limited human time on a ridiculous spat, which creates nothing of use but more clicks and views that drive up Facebook’s valuation. I have the highest regard for journalists and their work. Having tried my hand at independent journalism, I appreciate the craft, labour and difficulty in navigating the ethics and moral positions of reporting on other people – especially in these times, when anyone may disrupt your narrative even before you’ve had a chance to construct it. 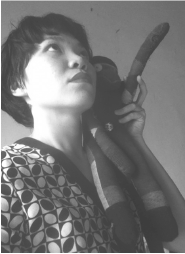 The power of forming a narrative about the world and other people is a huge one to have. For better or for worse, the internet has given each of us a bit of that power, turning all of us into potential independent publishers. I bless the internet everyday for this reason, and I do my best to use it well. Who knows how long it will last. Write before you’re written about. Write about yourself, and if you can, write about your friends. Do not wait for other people to tell the narrative. Create a body of work and context around yourself that you can refer others back to when needed. Always treat journalists with respect, but a healthy dose of skepticism. Question their agendas. The good ones are here with a specific job to do, the bad ones can harm and misrepresent you. They are not your friends, and they’re not meant to be. 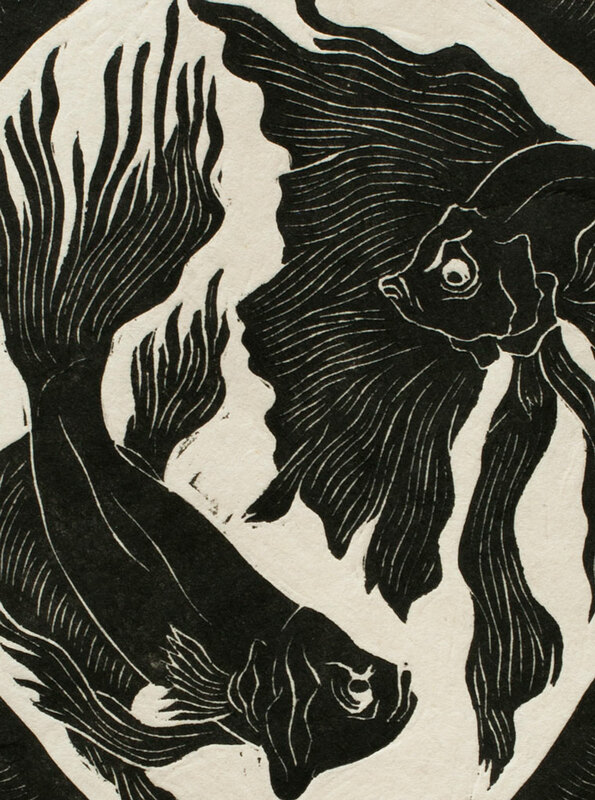 Image: Detail from Local Fauna linocut series, 2016.